Since ancient times those who were called geniuses, talented and visionaries were tremendously admired and respected. Some of them could play the violin so masterfully that listeners wept, some prepared culinary delights that made folks cross deserts just to get a taste and some left us artistic masterpieces that we, their descendants, marvel at in the museums. However, with the emergence of Internet we started calling geniuses professionals in less creative provinces. Like marketing and sales. And how not, when some of them could attract immense number of clients in unbelievably short time or boost sales to the skies. When we speak of any noted people of art, say Leonardo da Vinci, it still could be disputed whether he is a genius or just talented or above the average painter. With outstanding salespeople there’s no such room for arguments, since the success criterion is quite simple. If there’s a tangible increase in sales, he’s great, he’s ‘wow guy’ and he’s welcome addition in any organization. As simple as that. Because in any company, the sales department plays a critical role in the success of the business. The unique and pivotal role of sales is closing the distance between the customer’s needs and the products that the company offers. The power of sales in the continued success of a company, especially e-commerce one, affects not only revenue but brand reputation, long term relationships with customers and growth of business. Since hiring ‘da Vinci’ grade salesperson to work his magic with sales on your online store is probably not an option (such pros are probably already working for multi-million dollar corporations), we propose an affordable, working and easy-to-use alternative. One word – Shopify. They’ve crushed competition not just thanks to the excellent interface, great support options but also due to one of the best application stores on the market. 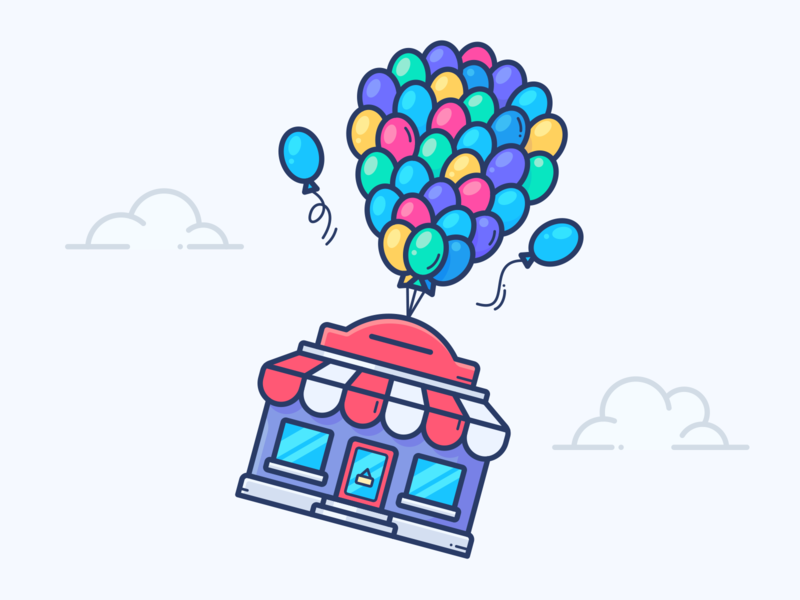 There’re hundreds of Shopify applications that can help your business get more sales, gain an edge over your competition and boost conversion rate. We’ve chosen five, which we liked best for several reasons and all of them are related to sales. Upsell and cross-sell strategy can be lethally efficient as proven by such commercial mammoths as Amazon and also testified by ratings of Boost Sales app. This application will allow you to lift both conversions and sales. It boasts an ingenious feature, a popup window which acts like ‘You may also like…’ feature on many sites but does much more. It’s displayed when a customer views or adds a product to the cart, where the shopper can see other items, similar to his choices. These additional offers can be suitable substitutes or compliments to the products he’s viewing and are usually accompanied with the irresistible sign of ‘% off’. It’s a very effective practice to drive up sales since it encourages and motivates shoppers to buy more in order to receive a discount. 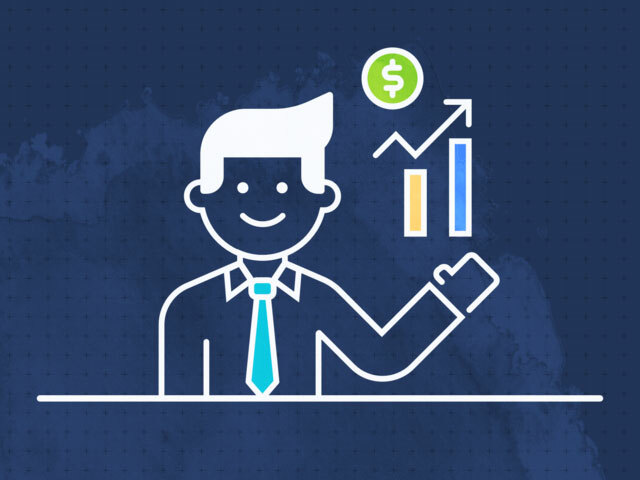 In this neat app you can manually schedule your own selected bundles for upsell and cross-sell but the app itself does a comprehensible analysis of sales data and produces automated recommendations to the clients. 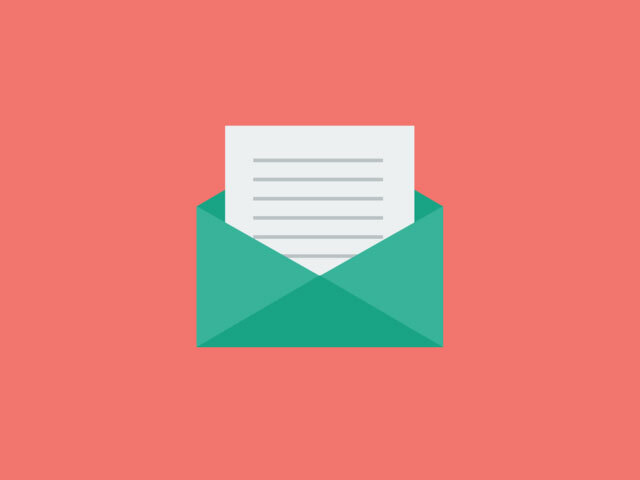 Mailchimp Forms was developed specifically for email marketing campaigns. It enables you not only to keep in touch with customers, who have purchased something from store, but also strengthen your relationships. Mailchimp allows you to gather email addresses of existing and potential customers, send clients all kinds of messages including reminders about the abandoned cart, configure ads and promotion mail-outs, set up product recommendations, etc. After connecting this app to your store, all customers and their purchases data will be synchronized to Mailchimp, where you can use it to create focused campaigns or use link tracking for analyzing sales and profits. Mailchimp is also useful for finding NEW clients with the help of ads in the social networks and turning them into YOUR clients with the help of remarketing ads. As you probably already know, working with the existing clients is much easier than searching for new ones, enticing them and retaining their loyalty. Swell was designed for perfecting your relationships with the customers that already know and like you. 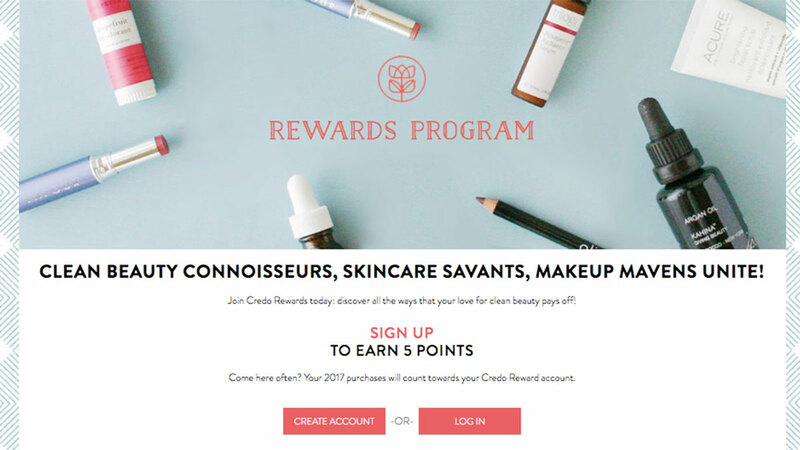 Few tactics yields better results than a loyalty program, which simultaneously boosts your sales and pleases shoppers. Use this app to create loyalty programs with just a few clicks and customize them to your heart delight. Create a system of awarding loyalty points which shoppers can use in a myriads of ways including creating a store account, buying more, being active in the social networks, writing the reviews of your products, referring to your store to friends and colleagues, etc. Optimization is the key to acquiring new clients but fine-tuning the elements of the store can often become a troublesome job, especially for sites offering a lot of products. So, would like to hire the specialist who would do the site analysis for you, debug it and offer a lot of useful AND straightforward recommendations? Install Plug in SEO and you’ll get all that and more. 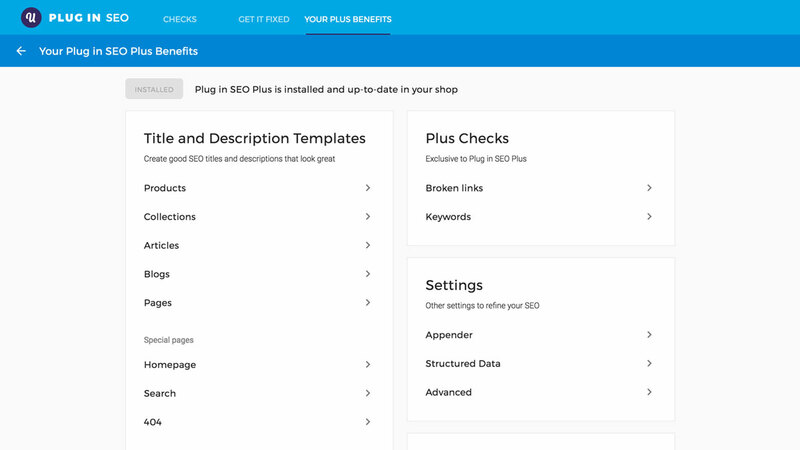 It’s a user-friendly application, which makes optimization ridiculously easy, allowing you to improve your SEO thanks to the number of powerful tools for optimizing virtually anything from titles and architecture to the meta descriptions and speed. With this app you’ll be able to improve the overall capabilities of your shop and get higher rankings in the search results in no time. It even checks the content freshness, how cool is that? Even today, in the era of high-tech and high-speed, word of mouth remains a powerful marketing tool. Statistics concur and state that almost 70% of shoppers are influenced by the reviews they’ve read. That’s why you shouldn’t underestimate the impact of a positive review. Yotpo instantly, right after the installation, allows you to easily generate and manage reviews, photos and Q&As. 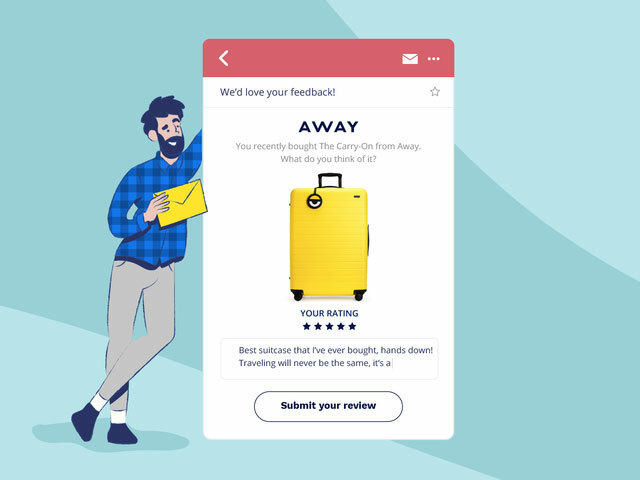 In large part the credit for that goes to the user-friendly in-mail review form which lets your shoppers comment on products without going to your site. Increase your sales by attracting more clients and build trust, improve traffic and increase conversion with positive reviews on yours and other sites. And Yotpo offers an amazing number of management options for you, including choice of language and time zone for scheduling review request emails. In e-commerce if you want succeed, just sitting back and relaxing won’t cut the mustard, because there’s always something to improve, optimize and drive up. But why do something manually when you can simply install several apps and save a lot of time and efforts? Whether you’re just starting a new shop or you’re an experienced e-merchant, these incredibly customizable apps will help sell more, lure in new customers, make old customers happier and overall just improve your shop performance, reputation and conversion. Just grab one app you like the best or all of them and happy selling!